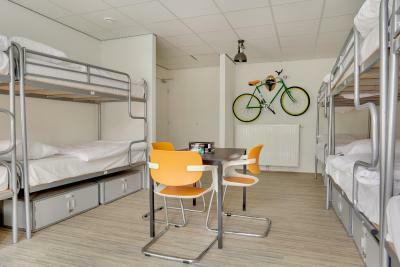 Lock in a great price for Dutchies Hostel – rated 8.4 by recent guests! I like the hostel pretty much. Very clean and well organized. Kitchen seems to have someone to clean often. Staff was friendly and helpful. 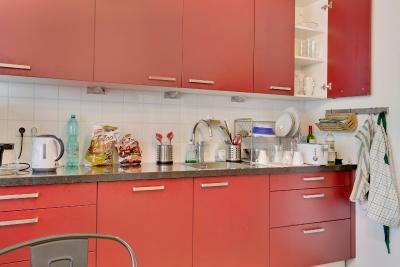 Availability of 24x7 open kitchen and ready to drink coffe in the open kitchen. Really good facilities, this hostel is incredible ! A lot of staff really communicative and really well organised ! There´s a Lidl market in front and it´s really convenient ! Well equipped kitchen, comfortable beds, clean shower and toilet. 15 minutes walk to the Sloterdjik station. The staffs were very helpful. The beds are cozy, there were besides them a lamp and a plug. The bathrooms were cleaned. The kitchen was fully equipped. There was a supermarket in front of the hostel. Everything, it was amazing. Place is so comfy and the staff is very friendly. Everything was perfect except the location. Staffs are very friendly as well! One of the best hostel I have ever stayed. I like the Kitchen very much every thing was there - Perfect Kitchen feel like home. Super Market and Mosque is beside the Hostel. Sloterdijk Station is 10 minute walk where you can get Shiphol Airport Trian and buses for rest of Europe. Out side Hostel traffic signal Bus no 21 will take you to city Center and main railway station. The hostel is 30 minute walk from City center. One of our best sellers in Amsterdam! 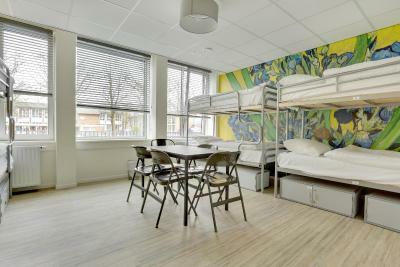 Featuring free WiFi throughout the property, Dutchies Hostel offers accommodations in Amsterdam. The center is a 15-minute tram ride away. Anne Frank House is 1.7 mi from Dutchies Hostel, while Vondelpark is 1.9 mi away. Central Station is a 20-minute bus ride from Dutchies Hostel and Museum District can be reached within 20 minutes. 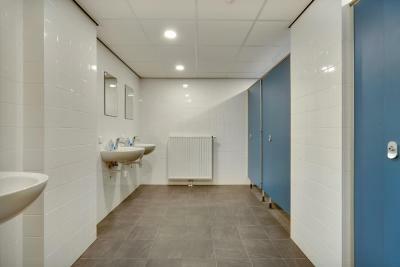 The nearest airport is Schiphol Airport, 6.2 mi from Dutchies Hostel. 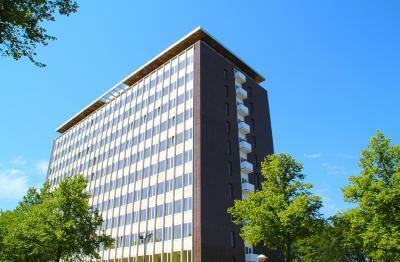 Parking is available on site and costs EUR 10.00 per day. Bos en Lommer is a great choice for travelers interested in nightlife, walking and city walks. When would you like to stay at Dutchies Hostel? Area Info – This neighborhood is a great choice for travelers interested in nightlife, walking and city walks – Check location Good location – show map Guests loved walking around the neighborhood! 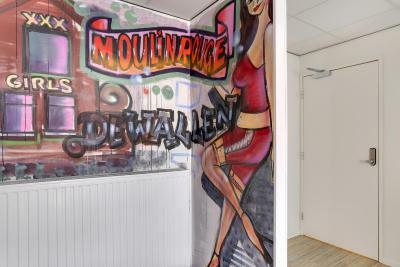 House Rules Dutchies Hostel takes special requests – add in the next step! Dutchies Hostel accepts these cards and reserves the right to temporarily hold an amount prior to arrival. Well worth the money, very welcoming homely ambience in the lounge, would defo come back. the public spaces are clean and the rooms are big and cozy. the location is good, closed enough with airport and quite easy to the stations. Friendly staff, clean enough for a hostel, kitchen had everything you needed. A safe choice if you don't want to share a room with a handful of loud and inconsiderate party-goers that come back at five in the morning like a horde of elephants. My only problem was shower. I had to push too many times to keep water running and hot water is not hot enough. Pressure was terribly low. The lockers in the room were a little smaller than expected. You can fit a backpack and your important personal items but you won’t be able to fit a suitcase in there. The location of the hostel is also around 30 mins away from the centre however it was easy travel there by the tram. 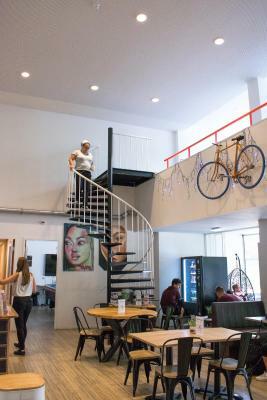 I stayed at the hostel with my sister in March 2019. We stayed in a 8 person dorm and the beds were comfy and clean as were the showers and toilet which were just located outside of the room. There was a communal kitchen which was highly equipped so perfect for making your own meals. You also are located right next to Lidl so perfect if you need to buy any food while staying there. The staff were very friendly and helped with any queries we had (including when I left my locker keys in the locker they were able to bolt it open for me!). 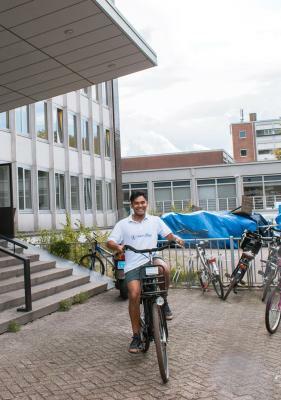 They also offered a range of activities including renting bikes which we did and enjoyed.